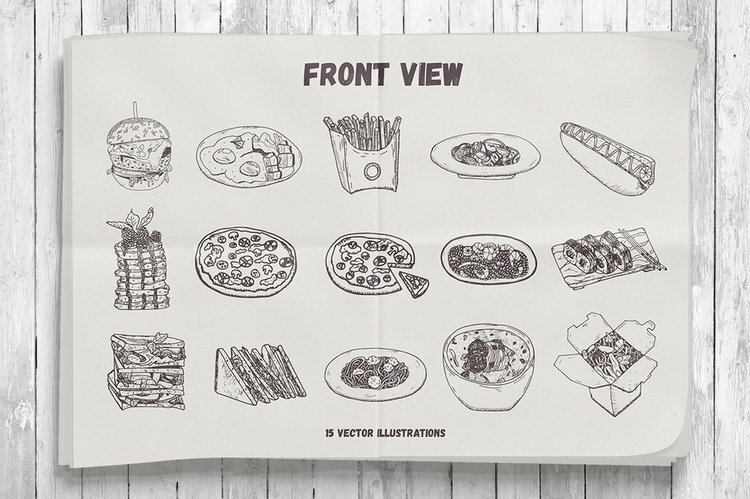 Get a set of 29 delicious hand-drawn food illustrations. 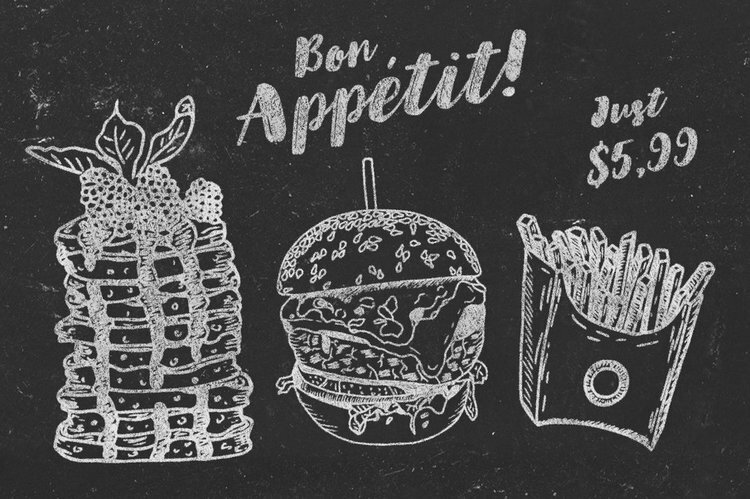 Precisely digitized, these vector assets would be a huge helper if you're up to create a neat menu template or any other artwork for a cafe or restaurant that stands out! 15 front view vector illustrations (AI, EPS, PSD, SVG, PNG). 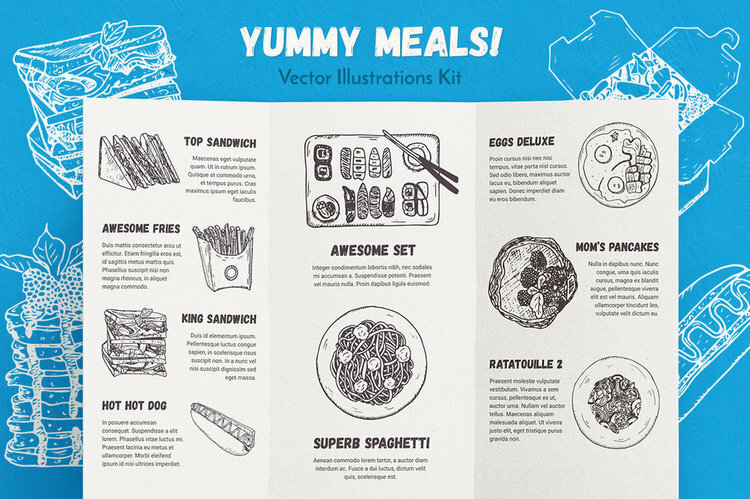 Don't miss the latest updates, exclusive discounts and new freebie resources!